This time a year when the mornings are brisk it just doesn't see right to sit down to a cold breakfast. This recipe combines sweet butternut squash, smoked Gouda, a buttery crust, and farm fresh eggs to warm you up. It's the morning. Who wants to make a homemade crust? Melt the butter in a frying pan over medium heat. Add the onion with a generous pinch of salt and pepper until the onion begins to soften about 2-3 minutes. 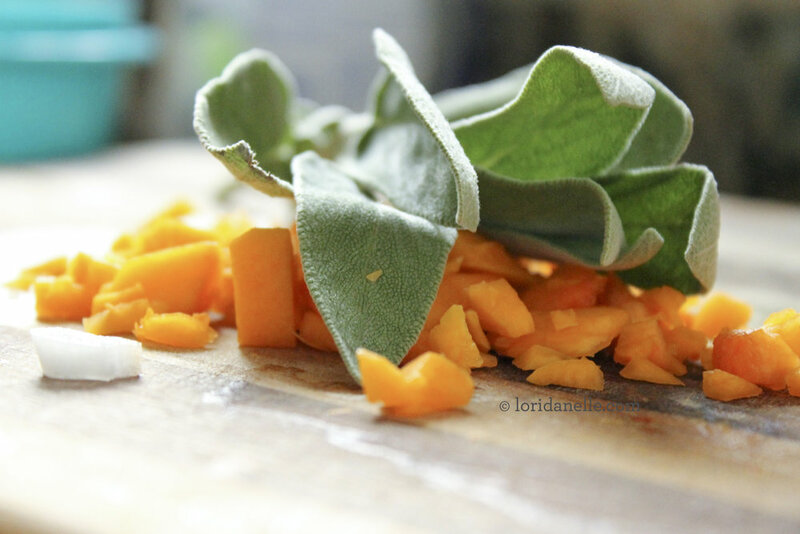 Add squash and sage and cook until squash is softened about 5 minutes more, when you're done cooking add a pinch of sugar and remove from heat. In a bowl whisk eggs and milk until throughly combined. Then add the squash mixture and cheese; stir to blend. Pour the eggs into pre-baked pie crust, and bake for 45-50. The center should be cooked but jiggly.